GM Korea’s push to spin off its R&D center as a separate corporate body has fueled a new conflict with the state-run Korea Development Bank and unionized workers just seven months after they agreed on long-term cooperation this April. 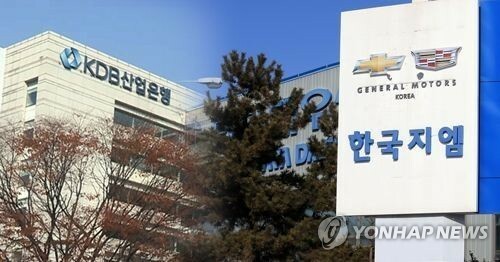 In the latest development, GM Korea’s shareholders will convene Friday afternoon to vote on the spinoff, following the Incheon District Court’s rejection of the injunction KDB filed to put off the vote. KDB is expected to exercise its veto rights at the meeting, as KDB Chairman Lee Dong-gull had said during the parliamentary inspection last week. Its planned veto, however, is likely to fail, as the R&D spinoff does not fall under one of the 17 special resolutions cited in GM Korea’s articles of association. Under Korea’s commercial law, an issue can be resolved with approval from a majority of shareholders present at the meeting, while a special resolution requires at least 85 percent agreement. After filing the preliminary injunction last month, Lee also noted “A new corporate body is not included in the agreement (signed between GM and KDB in May), and I believe it could be potentially dangerous.” His comments are in line with the GM labor union’s claim that a separate R&D body could be a prelude to a pullout of the automaker’s production here by detaching its competitive design and R&D functions. Aggravating the conflict, GM Korea’s labor union agreed to stage a strike with a 78.2 percent vote of 8,899 voters earlier this week. It is currently waiting for the National Labor Relation’s Commission to authorize the move by early next week. To assuage mounting debate, GM Korea CEO Kaher Kazem sent out an email to staff earlier this week noting the logic and reason behind the spinoff. “Establishment of GM Korea Technical Center Corp. is an important step forward in strengthening our organization. At the same time it will also be an opportunity to solidify GM Korea’s position by securing global product development projects and efficiently taking action,” read the email sent by Kazem. The union vehemently opposes the spinoff, saying the action was “dooming” the carmaker and groundwork to eventually pulling out business here. It claims that detaching the “competitive” design and R&D function is a prelude to pulling out production in Korea. “Dividing the company is irrelevant to normalizing business. We cannot accept a perfunctory shareholder meeting, which should not happen in the first place,” the union said in a press conference held at the National Assembly, Thursday.